Every good advertising campaign needs a novel idea and a strategy. The new ads for the State of Minnesota’s emerging healthcare exchange called MNsure have both. Minneapolis-based ad agency BBDO Proximity knew that to make Minnesotans aware of the changing face of healthcare coverage any ad campaign needed a face of its own to stand out. The face they found stands 10 feet tall, wears a flannel shirt and carries an axe. Oh, and his best friend is a blue ox named Babe. Both are immortalized in Minnesota folk lore and sculpted in repose at one of the state’s most photographed sites in Bemidji. For BBDO’s creative team, it was the equivalent of cutting down a tree with one swing of an axe. “First of all, they’re very recognizable,” said BBDO Proximity’s Executive Creative Director Brian Kroening. “I think most Minnesotans at one time or another have seen Paul and Babe. And we thought it would be very interesting if our idea would put them to work on behalf of all Minnesotans,” said Kroening. The genius behind the campaign is making Paul as human as possible. The opening ad in the campaign features Paul attempting to water ski on Lake Waconia. The results are not good. Therein lies the chief message argument—not only is Minnesota the land of ten thousand lakes, it’s also the land of ten thousand reasons to have health insurance. The highly strategic message peels as easily as bark form a birch tree. 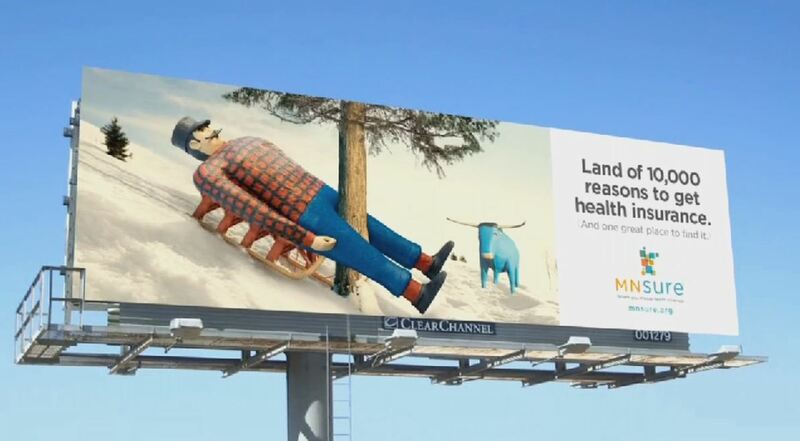 (Figure 1) The campaign will follow with more ads putting Paul & Babe in familiar Minnesota schemas that include a gym, sledding, even ice fishing. Extensive new advertising research by Werner Reinartz and Peter Saffert from the University of Cologne suggests that using elaborative metaphors is the most effective tool in successful messaging. Writing for the Harvard Business Review, Reinartz and Saffert show how advertisements that combine elaboration with originality are the most effective in achieving strategic objectives. Of course, there’s also humor. “Well, our goal is to get awareness first and foremost,” said Kroening. It’s a big goal. MNsure Executive Director April Todd-Malmlov says the campaign is targeting 25-percent of Minnesotans, or 1.3 million people who either don’t have health insurance, or want a better deal on the coverage they already have. The MNsure marketplace goes online October 1st for health care coverage starting January 1, 2014. Ultimately, MNsure and BBDO Proximity will measure success by how many people sign up. Can’t wait to see Paul do the Bush Lake Ski Jump.